My daughter has been working fast and furious on the nursery for the new grandson. 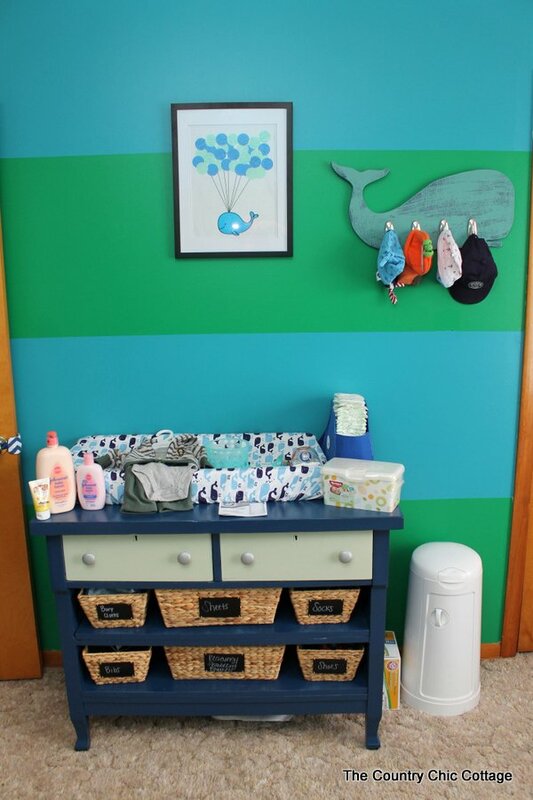 I thought I would share some nautical nursery ideas with you today. 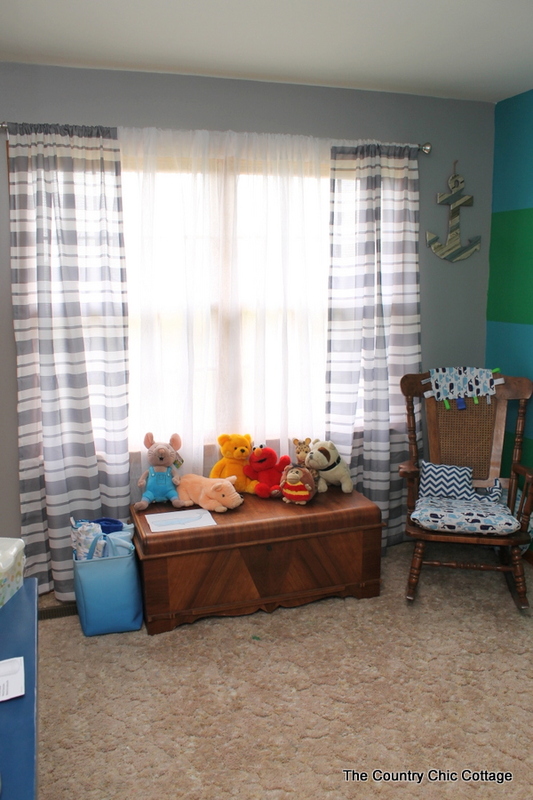 Including a dresser to changing table transformation that I completed that you won’t believe! This is part of a series of posts sponsored by the Better Homes and Gardens collection at Walmart. I am compensated for my participation however all projects and opinions are my own. The links in the post are affiliate links and a portion of your purchase will go to support this site. Amazing transformation right?? This dresser had seen better days but it is solid wood and an antique. The bottom two drawers were absolutely falling apart. With the help of hubby, we removed the drawers and added in shelves instead. I gave the entire dresser a few coats of Krylon Cover Maxx in Oxford Blue. The two drawers that we kept got a few coats of Krylon Fusion in Honeydew. Two of the walls were given a stripe treatment in blue and green. The other two walls were painted grey. 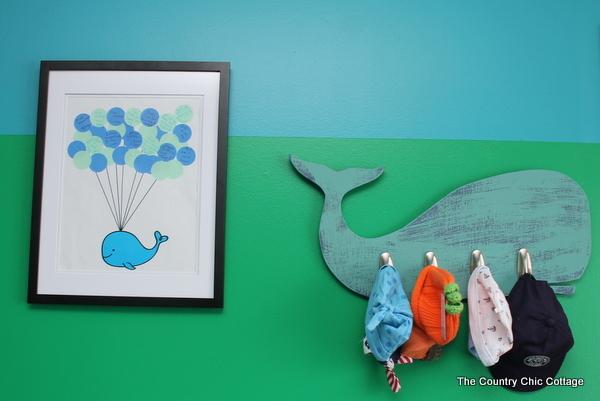 Above the changing table the baby shower guest book is hanging as well as the whale with coat hooks. The guest book was framed in the Better Homes and Gardens 14×18/11×14 Wide Gallery Frame. They contain a variety of baby necessities. I love that the baskets came with those great chalkboard labels already in place! The top of the changing table has a changing pad that is also from Walmart. I made the changing pad cover myself with a fabric print from Jo-Ann Fabrics. The anchor on the right hand side is also from Jo-Ann Fabrics. That rocking chair is a hand me down from great-grandma. I covered the seat cushion in the same pattern as on the changing table. 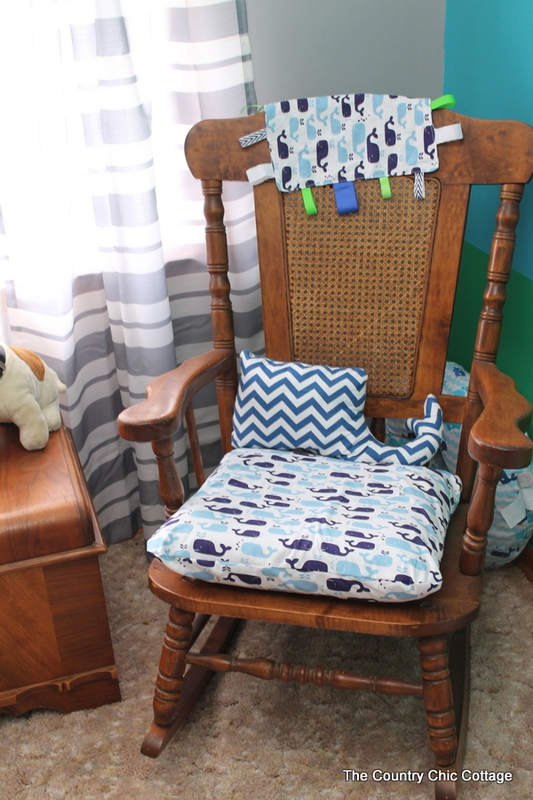 The whale pillow was also made by me from a second fabric that was picked up at Jo-Ann Fabrics. I couldn’t resist using my scraps to make that taggie blanket as well. 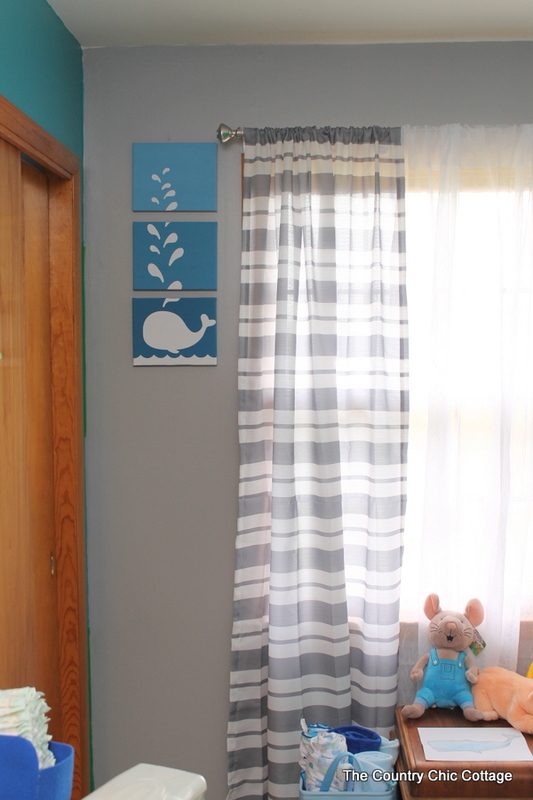 The left side of the window has the whale canvas art that I made. 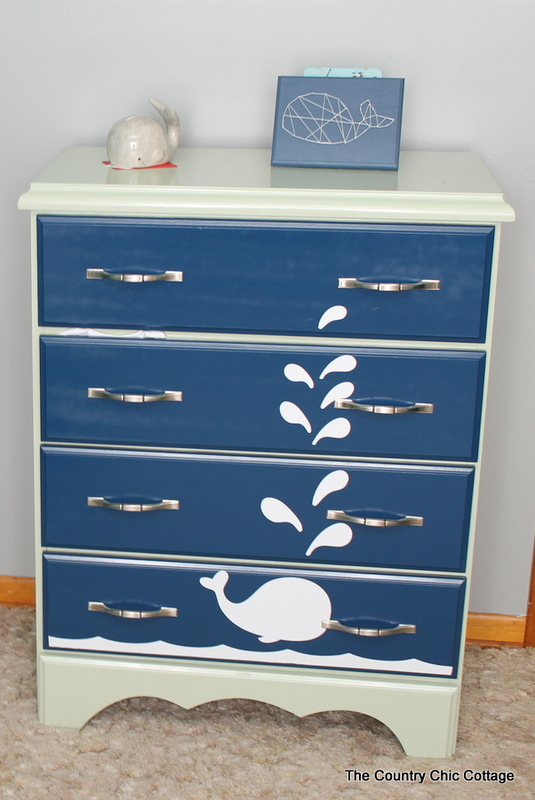 The other side of the room will include the whale dresser as well as the whale string art. However it is still in process so I will leave you with this mini sneak peek! I love the way the nursery is shaping up! And our dresser to changing table transformation turned out just perfect. Follow along here as I am sure we will be showing off more nautical nursery ideas over the next few weeks! Yep the countdown is on to the due date. 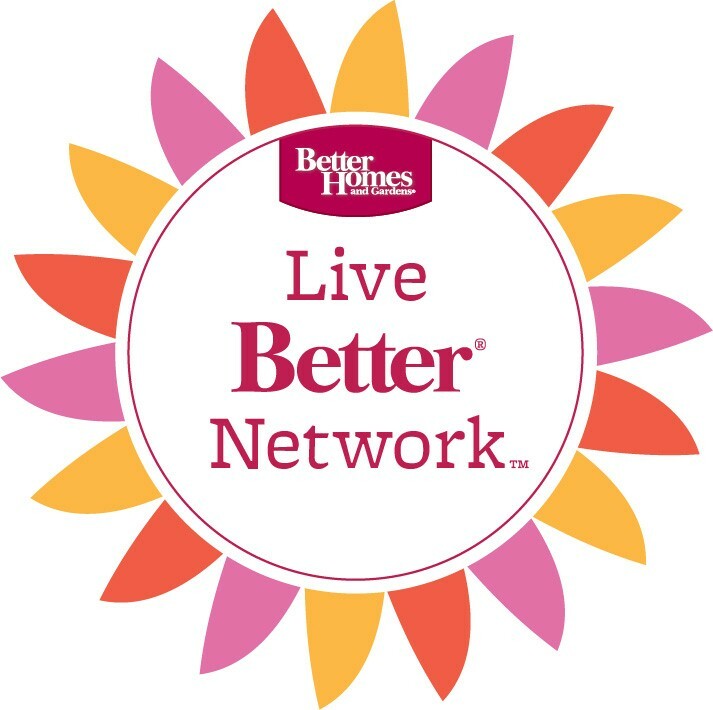 For more inspiration on using the products from the Better Homes and Gardens Collection at Walmart, follow them on Facebook, Twitter, Instagram, and Pinterest. previous post: Buttons, Bottle Caps, and more! wow all such cute stuff! love that changing table pad and curtains! Aw – LOVE all the nautical details and colors!! 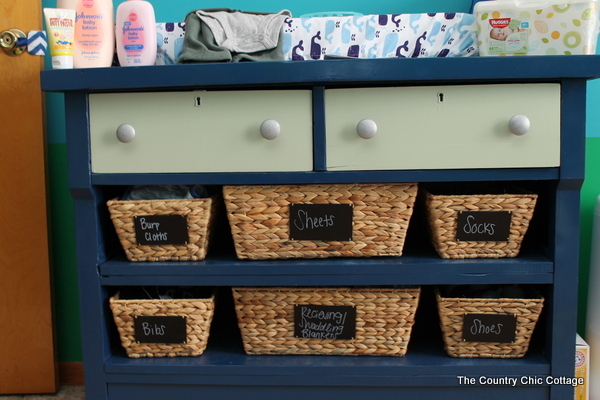 What a great makeover – love all the baskets and storage this dresser now supplies! That whale theme is SO cute! Love everything you’ve done! Super cute! Love the theme!